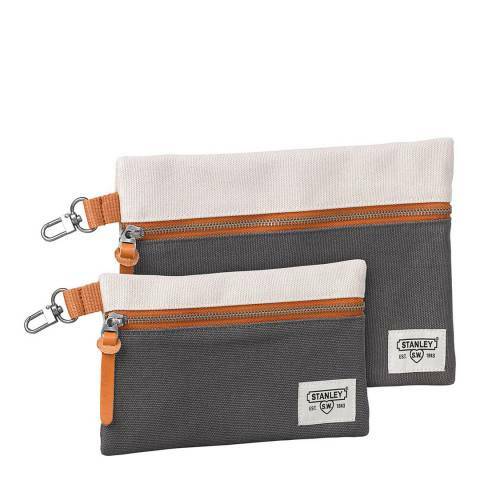 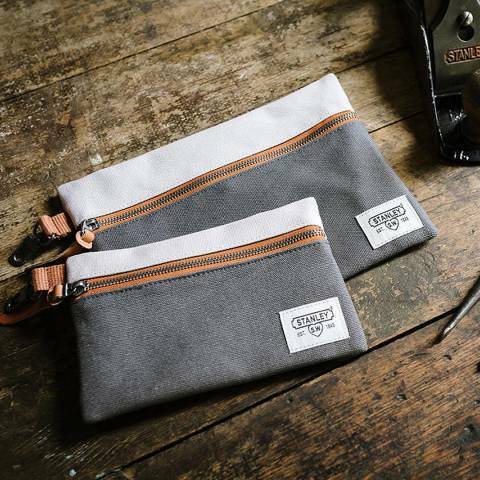 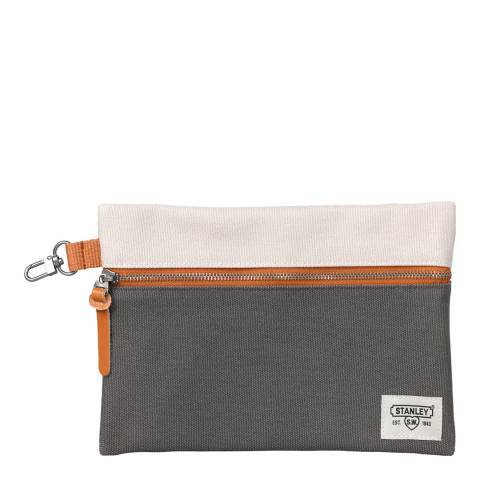 This STANLEY Set of Two Utility Pouches includes two versatile storage pouches in 18oz durable canvas. Both feature a metal zip with tan leather pulls for ease of opening and a metal carabiner clip, ideal for attaching to a belt or storing together. 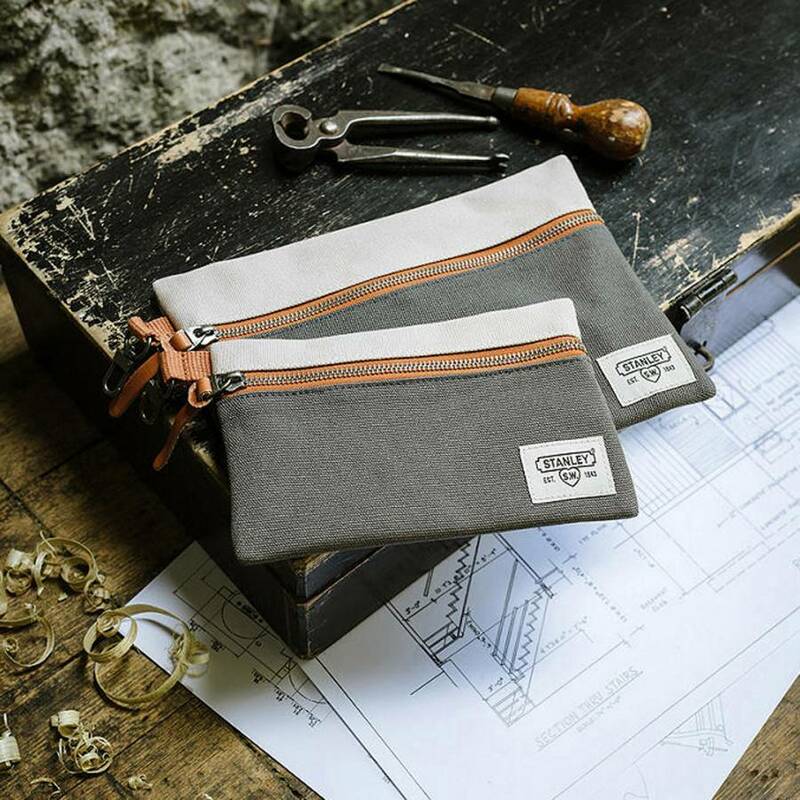 They are fully lined and perfect for use as a toiletry case, travel bag, tool pouch or for storing all your bits and bobs. 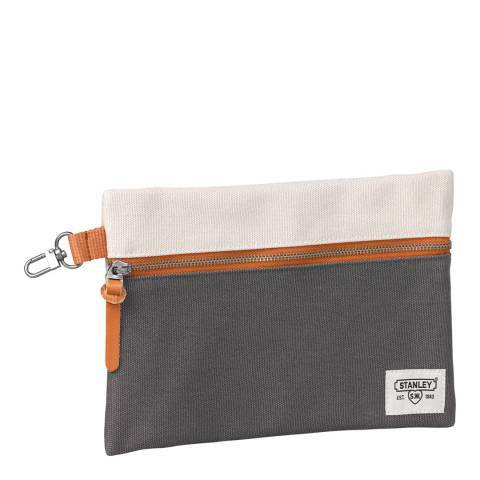 The two-tone canvas design displays the STANLEY logo embroidered onto the front corner.